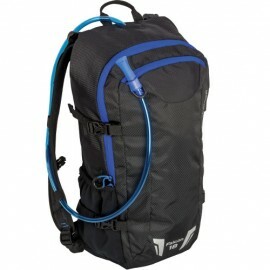 Cheap Outdoor has the best range of backpacks with water bag for during the sports. With a hydropack, is it possible to without interruption to the workout your moisture to replenish. Therefore, it is a waterrugzak especially useful when hiking, cycling, hiking, trekking or backpacking. Defcon 5 is known for the design and manufacture of tactical products. This hydropack is a good example of this. This water bag/bladder has a curved design for a more comfortable fit and extra support in the back. A 2 liter water bag which it is heated up allowing the seal to each other. This prevents the dt, he expands as he is filled with fluid. A hydration pack, abbreviated hydropack, is simply a built-in backpack with a water bag. This water bag serves as a handy alternative to a water bottle. This is because the backpack with water reservoir has more capacity for your drinks. A water bag rucksack is therefore very useful if you have more than three hours of sport and in between have no time to refill a water bottle. A backpack including water bag is of course also handy for carrying other necessities. The handy storage compartments in the backpack offer space for something to eat such as a bar or banana, plasters for a small accident or electronic equipment. A hydration pack is multifunctional and should therefore not be missing from your sports outfit. Stay hydrated during exercise with a hydropack - CheapOutdoor Use a compact backpack with water bag for outside sports in order without interruption to be able to drink. Buy now a water bag backpack at Cheap Outdoor "